Many people nowadays are making strides toward living a greener life that is better for the health of our planet. 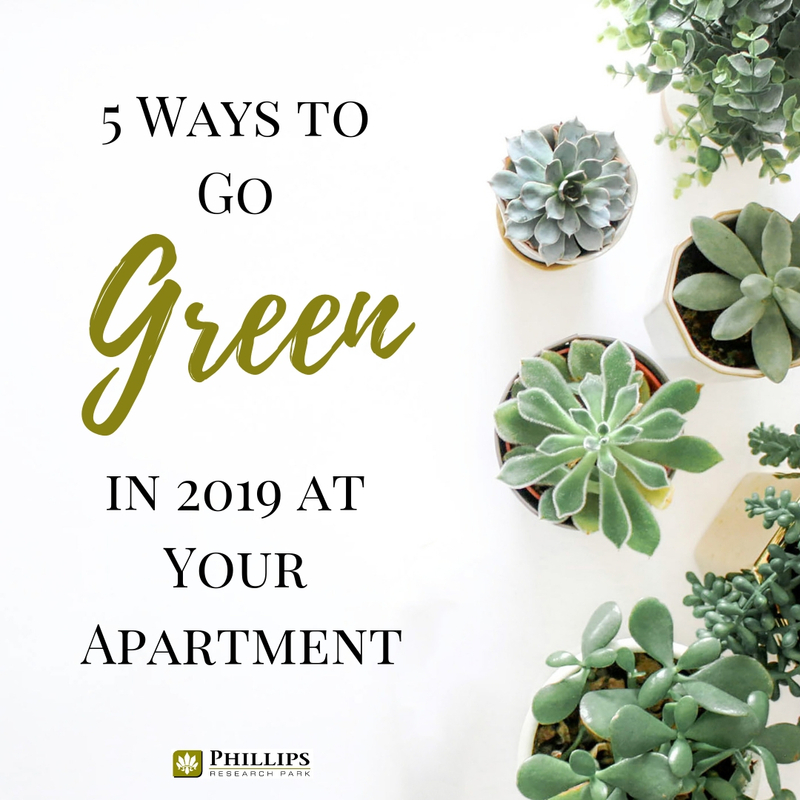 However, when living in a Durham, NC apartment, you may think that there isn't a whole lot you can do to live a greener lifestyle since you can't make structural changes to your dwelling. We are here to tell you that is not the case at all! While we strive to make sure that our complexes run as efficiently as possible, there are still plenty of things you can do on your own to go green! One of the ways you can have a big impact is to make your home more energy efficient. There are plenty of ways that you can do it that are pretty simple! Start by switching out all of your old-fashioned light bulbs for LED bulbs. Switching out your bulbs will not only make using lights in your home more energy efficient, but it will also save you a little bit of cash. Consider that a regular incandescent lightbulb that is used five hours per day will cost you about $16 per year. You can run an LED bulb for the same 5 hours per day for only $6 per year. That is quite a savings if you consider all the rooms in your apartment! Another great way to increase your energy efficiency is by adjusting your thermostat. Keep things cooler in the winter and a touch warmer in the summer. In the winter time, you can easily drop your thermostat to a cooler 65-68 degrees. In the summer keep your AC set at 78. If that is too warm for you, try making it 78 while you are at work and the apartment is sitting empty. Also, make sure that your air filters are changed on time because it will make your HVAC unit run as efficiently as it is able. Of course, you want your Durham, NC apartment to be super clean. We understand that everyone wants a nice, tidy home. However, most cleaners are full of toxic chemicals that get washed down the drain everytime you clean. Try switching out your cleaners for a biodegradable choice that doesn't rely on harsh chemicals for cleaning power. There are plenty of brands that offer a good clean that is also good for the environment. You can even consider making your own cleaners for an even more organic approach. When living in an apartment, it can be difficult to completely grow your own food, but there are at least a few items that you can grow out on your balcony or patio. Start with something small like a few herbs. For all the herbs you grow yourself, that is less plastic packaging that is being consumed. Once you get the hang of growing your basil or cilantro, you can move onto something like tomatoes or lettuces which grow really well in a pot. If you end up with a surplus of herbs or veggies, you probably have a neighbor or two in your Durham, NC apartments that wouldn't mind if you shared. 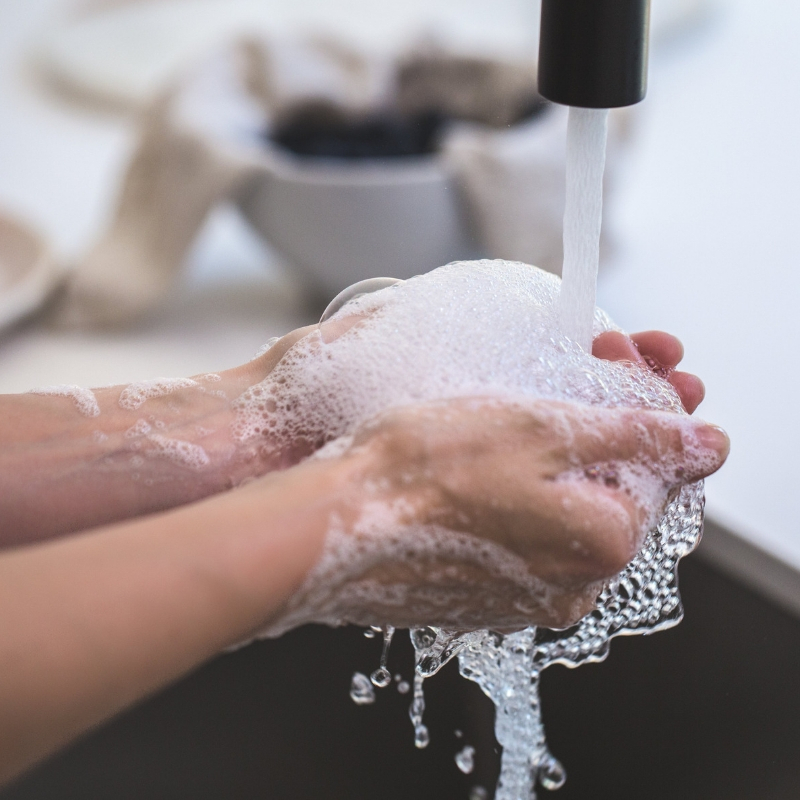 There are plenty of simple ways that you can conserve water in your household. You may be able to switch out your shower head for one that is low flow. Check with maintenance to see if this can be done in your apartment. You can also do things like shorten your shower time, not run faucets when you don't need to, and only run the dishwasher for full loads. These all may seem too simple, but it can actually save gallons of water per year. 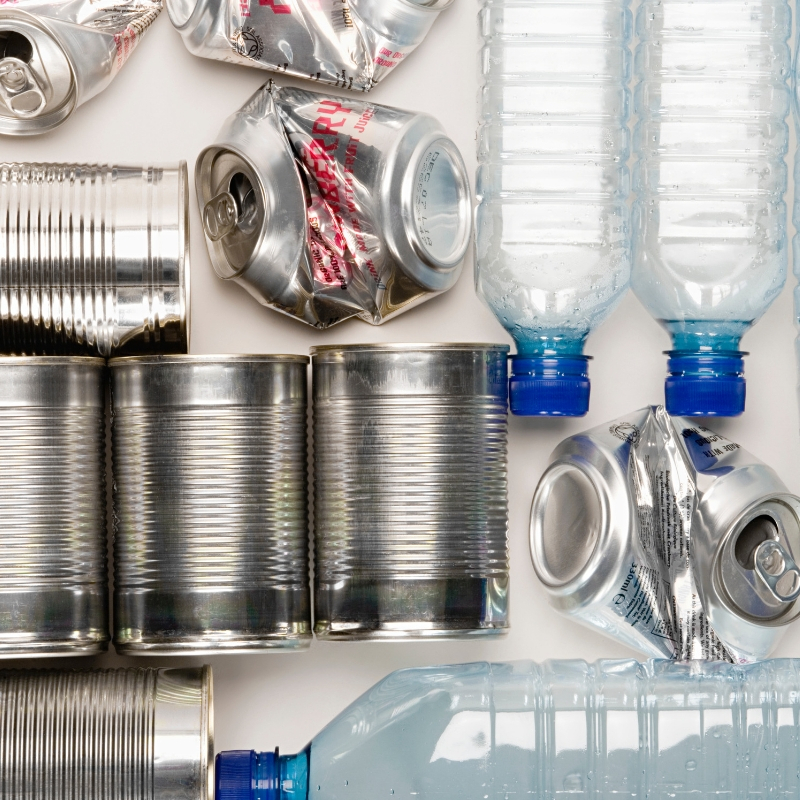 You should already be recycling, but are you being diligent and making sure that every recyclable item goes in the bin? How about the plastic insert of your cookie packages? How about your junk mail? There are plenty of things that get thrown in the trash because people forget that they can be recycled. If you know that you recycle as much as you possibly can, maybe you can try to cut down on purchasing things that can't be recycled or you can try to start switching to items with less packaging. There are a lot of reusable items you can make a switch to instead of creating more trash for the landfill. Things like reusable sandwich bags are a great way to cut down on the use of plastic in your home. Instead of buying individual single-use water bottles, switch to bottle that can be washed and reused. There is a whole "zero-waste" movement that is dedicated to eliminating waste. Check it out on YouTube. 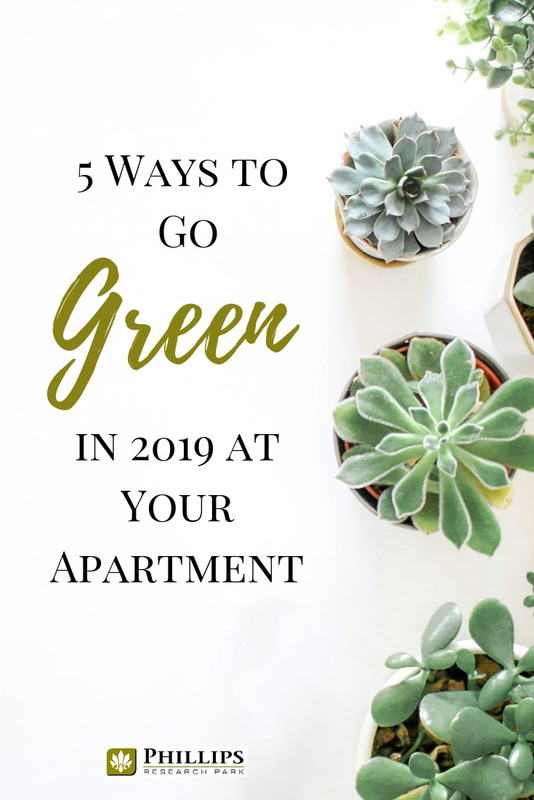 As you can see, there are plenty of little changes that you can make in your life that will make your Durham, NC apartment more green. While it may only be a tiny step for you, consider the impact if everyone was to make the same green choices. Either way, you can make a difference! Here at Phillips Research Park Apartments, we try to make recycling easy and convenient with an on-site recycling collection center. 2019 Ovation Realty Management. All rights reserved.